In 1996 I studied printmaking with a University of Iowa program abroad at the Scuola Internazionale di Grafica, Venezia. 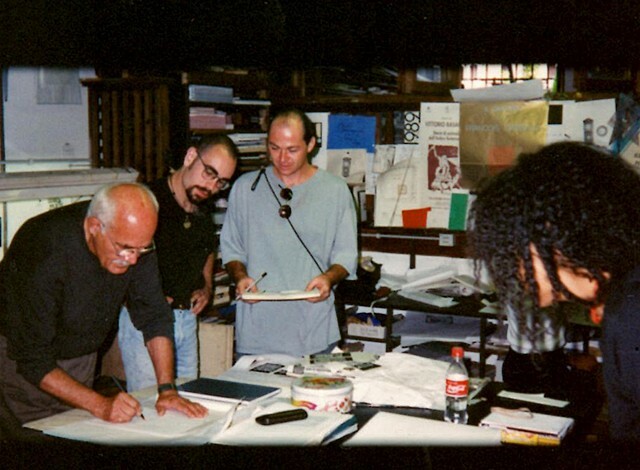 In this photo our professor and guide Keith Achepohl is working on a drawing flanked by Doug Russell and Michael Hook. Mildred Beltre is shown on the right. All three of them are now art professors.